Editor’s Note: Bindu Reddy is the CEO of MyLikes and was formerly Group Product Manager at Google. She was the first product manager for the project that evolved to become Google+ . Her Google+ profile can be found here. Larry Page recently announced that he is quite thrilled with Google+’s explosive growth — with 90 million registered accounts and 80% of the people engaging on a weekly basis across all Google properties. The problem, of course, is that very few of these 90M users are actively publishing on Google+. The Google+ strategy of fine-grained sharing of personal content using Circles has not been very effective. It takes a lot of effort to create and maintain circles, and Facebook has proven that most users seem to be comfortable sharing personal content such as family albums and baby pictures with their complete social graph. It is indeed a tall order for Google+ to win against Facebook in this area of communicating and sharing with your friends and family as it needs a significant exodus of a your social graph from Facebook. One area where Google+ seems have gained traction is public sharing and broadcasting – a la Twitter. It has been impressive to see Google execute nimbly by adding multiple features to emerge as the iPhone of publishing platforms. However, in order to take considerable user attention away from Facebook, Google+ needs to solve the biggest issue with public sharing — it is far less universal compared to communicating with friends and family. There were 60 million active content creators on Twitter. Compare this to the 2 billion-plus Internet users and 800 million active Facebook users. Even if you include the few million users who are active in other public places like MySpace and Tumblr, only around 5 percent of the world’s Internet population is currently sharing on public profiles. Most new users who start Google+ or Twitter accounts discover that it is really hard to get a following. Even importing Facebook or email contacts doesn’t help, because one-way follow semantics result in only a few of those contacts following you back. The suggested-user list approach only serves to make things worse. New users end up following a bunch of famous personalities, with whom they do not have any meaningful interactions. Some brave souls end up posting a few times, but after seeing little or no engagement on their posts, give up pretty soon. Behavior in online communities is very-peer driven and when people see similar, like minded people posting and interacting with others, they tend to follow suit. Google has the technology chops to suggest following these types of people instead of celebrities. If we could get people to post about topics that they care about and get them to connect with people who both care about the same topics and are at the same audience level, we will see a lot more high-fidelity content and engagement as opposed to simply re-sharing the most popular image/video on the web. For example, I am into technology, politics, fashion and food. As part of their onboarding process, Google+ could prompt me to post on these topics (even surfacing existing conversations as inspiration) and based on these posts suggest I circle other people who have the same interests and are likely to interact with me. Over time, suggesting more of these kinds of relevant, actively engaged people, not only ensures that new users connect with people they want to meet, but also rewards activity with a larger audience. 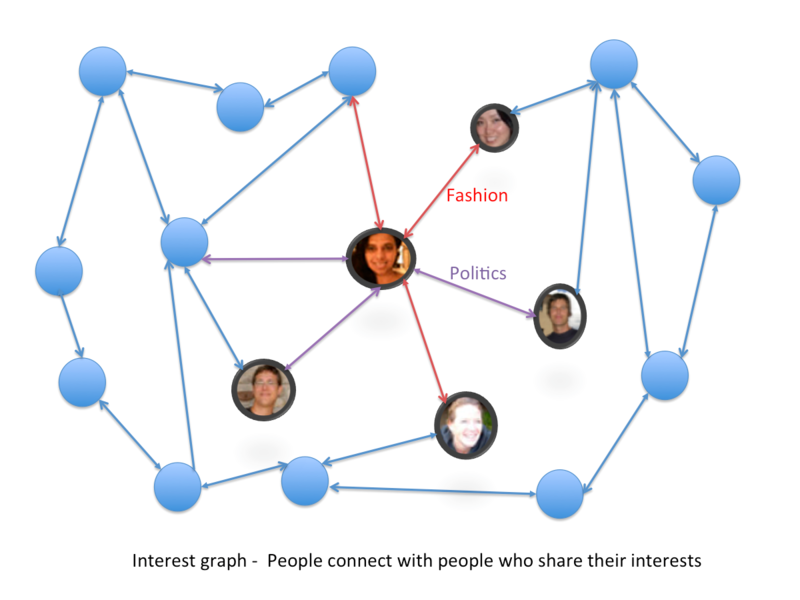 This new “interest graph” is inherently a lot more valuable to the user than the “social graph” which simply moves your offline friends online. The serotonin kick that you get from having strangers taking the time to read your post and make intelligent comments will soon get addictive, and kick-start a virtuous cycle of publishing and consumption. One of the biggest issues with sharing publicly is having to deal with trolls, stalkers and unwanted spam comments/messages. I can tell from personal experience, that this issue is exacerbated if you are a woman. This is one of the main reasons you don’t see that many women sharing on Google+. Google+ needs to identify and actively deactivate spam accounts who post irrelevant links on posts. While everyone should be allowed to like and re-share your posts, by default Google+ should only allow for comments with no-moderation from people you circle. All other comments should only be posted once the commenter has been reviewed by the publisher. Again technology could help with automatic flagging of comments for review. Of course, users like Robert Scoble, can and will choose to turn off moderation but my bet is a large number of people would rather review comments in some way before having them show up on their profiles. In contrast, Twitter avoids this problem by simply not having any commenting features. Email is still one of the primary ways people share information with each other. Every day, millions of videos, links to articles and documents are shared via email. Just like Google calender integration, Gmail could detect when you are sharing a public link/video and automatically cc that message to post on your public profile. This feature would immediately give Google millions of new active publishers. Similarly, users on Blogger and YouTube should be able to share blog posts and comments by checking a box that gives them the option to share the content on Google+. Allowing the user to choose and customize the post that is published on Google+ will ensure that Google+ posts continue to have high fidelity and user profiles don’t turn into noisy “dead-feeds” of information. Twitter has already shown the world how much of an impact public sharing can have even with a small percentage of people doing it. One can only imagine how much bigger the impact will be if this number becomes 5 times what it is now. Revolutions, large scale social change, shaking up entrenched “old boys networks” all become more possible, when everyone has a voice and an audience. We are in the middle of a huge shift in how information is created and curated on the Internet. Making publishing more universal plays very well to Google’s strength as an information company. In line with Google’s mission, its algorithms can work their magic to organize this information and make it universally accessible.